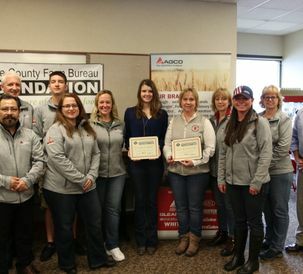 DULUTH, Ga., – AGCO Corporation (NYSE: AGCO), a global leader in the design, manufacturing and distribution of agricultural machinery and solutions, presented three partner awards and nine supplier awards during its fifth annual AGCO North America Supplier Day. 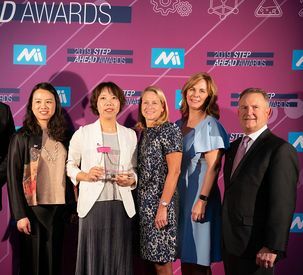 The 2018 awards were expanded to include Partner of the Year, for suppliers who have surpassed the top level of achievement in innovation, world-class service, global growth, and cost savings. As part of the day’s conference sessions, senior AGCO executives briefed attendees on topics such as the global market outlook, 2018 key initiatives, and benefits for high performing suppliers. Guest speaker Kent Shrock, general manager of Plevna Implement Company, discussed customer expectations and the importance of quality, innovation, and on-time delivery. 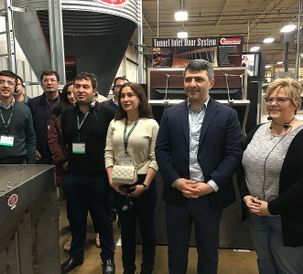 Comer Industries, Inc. of Charlotte, North Carolina; represented by Matteo Storchi, CEO and chairman; Arlin Perry, president; Kirk Martin, director of sales; and Scott Moss, sales manager. Founded in 1970, Comer Industries designs and produces advanced engineering and mechatronic solutions for power transmissions. As a partner in innovation for many years; Comer has supplied AGCO with quality, innovative gearboxes that bring competitive advantage to our products and customers. Doug Bradley Trucking, Inc. of Salina, Kansas; represented by Doug Bradley – owner/president; Jamie Bradley, vice president; and Jesse Bradley, director of fleet operations. Doug Bradley Trucking, Inc. has been AGCO’s dedicated fleet provider since March of 2012 and operates at a 99.6% on-time delivery performance. ISEKI & Company of Tokyo, Japan, represented by Mr. Yoshiyuki Toyoda – director and executive vice president, Mr. Shoji Moriya – deputy division manager, Mr. Kiyofumi Sakurahara – general manager, and Mr. Satoshi Ishida– manager. The Iseki and AGCO relationship began in 1991 when the first Massey Ferguson tractor made by Iseki was introduced. AGCO and Iseki have been successful in expanding competitive product offerings and increasing market shares in targeted categories. Indirect Innovation Supplier of the Year – Proceedix of Ghent, Belgium; represented by Michelle Krogmeier, product manager. Since 2014, Proceedix, a worldwide partner of the Glass enterprise edition, has been leveraging cloud computing and mobile wearable technology to offer state-of-the-art human-driven procedure and instruction support for AGCO’s technicians. 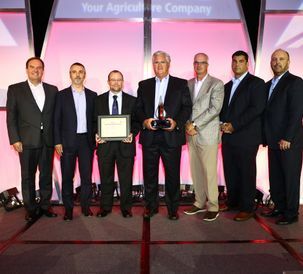 Indirect Supplier of the Year – Vallen of Belmont, North Carolina; represented by Kyle Weber, vice president of Integrated Solutions; Michael Barrineau, director of Integrated Solutions. Founded in 1969, with a presence in 44 countries, Vallen is the leading provider of indirect industrial products and services. From earplugs to specialty tools, to abrasives and cutting tools, and aftersales maintenance services, Vallen provides solutions for a vast array of AGCO’s repair and production-related needs. Third Party Supplier of the Year – Woods Equipment Company of Oregon, Illinois; represented by Jerry Johnson, president; Rod Bowman, vice president; and Kera Roschi, strategic account manager. Founded in 1946 when the Wood brothers built the first successful tractor-mounted rotary cutter, Woods Equipment Company enables AGCO dealers to offer full-package solutions to end use customers by providing sales and marketing, order fulfillment, accounting and aftersales service support directly to AGCO dealers. Logistics Supplier of the Year – Doug Bradley Trucking, Inc. of Salina, Kansas; represented by Doug Bradley – owner/president; Jamie Bradley, vice president; and Jesse Bradley, director of fleet operations. Doug Bradley Trucking, Inc. has been AGCO’s dedicated fleet provider since March of 2012 and operates at a 99.6% on-time delivery performance. Parts Supplier of the Year – Camso of Magog, Canada; represented by Stephen Cook, executive director of sales; Ryan Anderson, director of OEM sales. Camso, the Road Free Company, started in 1982, has had a 15-year relationship with AGCO providing components to both assembly line and service parts. Quality Award –IVP Plastics of Washington, Illinois; represented by Daryl Lindemann, president; Dirk Arends, sales manager. Founded in 1953, IVP has become AGCO’s preferred supplier for development of new tools and transfer of problematic tools. IVP has the in-house expertise to solve difficult issues, and yields a transparent and customer-focused approach to quality while providing outside-the-box solutions. Collaboration Award –Associated Metalcast, Inc. of Oxford, Alabama; represented by Ron Douglas, president; Mike Hughston, director of sales. Incorporated in 1998, Associated Metalcast provides a wide range of casting precision machining and assembly services. Associated Metalcast has provided full engineering support for AGCO during technical reviews from design to manufacturing ensuring production feasibility of NPI integration, and providing solutions surpassing AGCO’s expectations. Sustainability Award – United Parcel Service of Atlanta, Georgia; represented by Tammy Moonen, director of enterprise sales; Mark Bastianelli, UPS Solutions Development. Founded in 1907, UPS stands strong as a leading global provider of specialized transportation and logistics services. When it comes to sustainability, UPS is a proven leader as well. UPS is the only transportation company to be listed on the Dow Jones sustainability index the past five years; and achieved 100% on the Human Rights Campaign Corporate Equality Index – the only transportation company with a perfect score. UPS devotes millions in services, money and volunteer efforts towards their sustainable development goals yearly. Direct Materials Supplier of the Year – Heidtman Steel of Toledo, Ohio; represented by John Bates, Jr., vice president of commercial; Dan DeMare, regional sales manager; and Eddie Collins, account manager. Heidtman Steel has been family owned and operated for over 60 years providing innovative steel solutions that maximize efficiency and reduce cost. 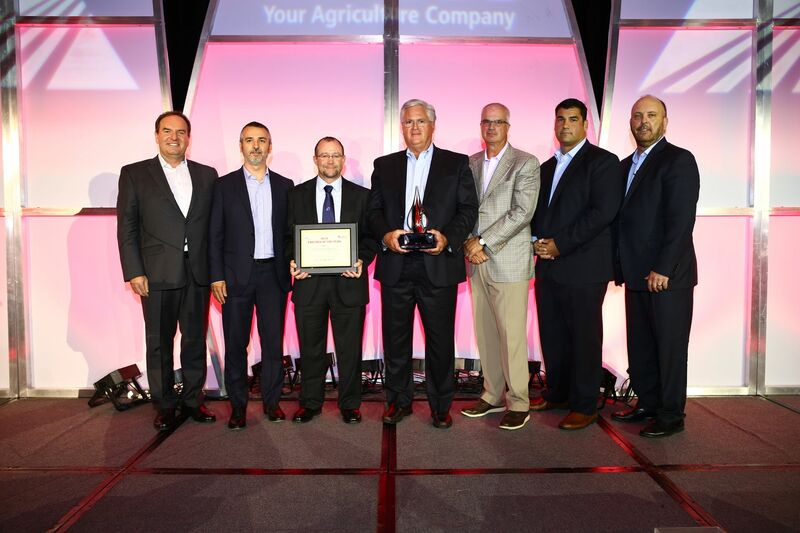 Heidtman Steel has positioned itself for optimized service and increased product value and has become an exemplary supplier for AGCO, providing an extensive range of products. ©2018 AGCO Corporation. Fendt is a registered trademark of AGCO. IDEAL is a trademark of AGCO.